Boeing has announced software changes that, if approved by the FAA would be a big help in preventing future accidents. But the FAA will need to see if the changes are enough to certify the aircraft as airworthy and safe. The FAA would serve industry and the public best if that review was audited by an independent panel of expert pilots without ties to any airline manufacturer. When Boeing went to new, more efficient engines for the upgraded model of the 737 (the Max series), because of the size and weight of the new engines, the location of the engines on the aircraft wings needed to be changed, essentially moved forward to afford sufficient ground clearance. But the impact of that move changed the flight dynamics of the aircraft, particularly when the 737 was in the initial climb-out part of its flight envelope. Here the aircraft would pitch up, a condition caused by the engine shift. So Boeing grafted on a software “fix” of sorts, called MCAS. Basically when the angle of attack sensor (that measures the angle the plane is flying) reported too much pitch up, it would correct the problem by forcing the nose down. MCAS was only supposed to work when the plane was being flown manually and not on standard autopilot. A pilot can use autopilot if he or she chooses on takeoff, but generally use manual mode because climb outs are heavily regulated by airports to conform with noise abatement procedures and other traffic in and around the airport, requiring manual flying. MCAS relied on a single sensor (on the pilot’s side) and would repeatedly make corrections if the sensor reported abnormally high angle of attack readings. On top of that, even if the pilot recognized the sensor was wrong, shutting down MCAS turned out to be a significant problem, and controlling the aircraft a challenge, which is why two planes crashed and other Max pilots reported problems. On top of that, Boeing featured the new airplanes as not requiring additional pilot training, as a major cost saver to airlines if the pilots were already qualified on 737 aircraft. Even pilots who did use the Boeing simulator found that the training did not really include worst case scenarios. Boeing has not announced as yet changes to its simulator although they are intent on providing simulator training this time. There are two software improvements announced by Boeing for MCAS software. The first is that the push down of the airplane nose will only occur once if the angle of attack sensor detects an excessive nose up (climb out) condition. In the previous accidents the pilots were fighting multiple MCAS operations putting the planes into a dive. The second change is that if the pilot’s and copilot’s angle of attack sensors are in disagreement, MCAS will shut down. This is to prevent a faulty pilot’s sensor from commanding the aircraft. Boeing has yet to say they have made any changes in the rear pitot tube sensors and their effect on the rear stabilizer, or moderating the force required to re-position the nose of the aircraft, or the impact on the “stick shaker” that the pilot’s experience triggered by the rear pitot sensors. An airplane stall is typically recovered by pushing the control yoke down to put the plane in a controlled dive. This increases air speed (usually the pilot also increases power too) and restores the plane’s ability to have sufficient life to fly. But recovering from a stall at low altitude is challenging because an aircraft needs enough altitude as it dives down to recover from the stall condition. The FAA will no doubt address these issues, but both Boeing, the aviation industry including operator companies and the flying public would be well served by bringing in well-trained pilots who are independent of the company to assess the modifications and study the two crashes. A good start would be to ask hero pilot Chesley “Sully” Sullenberger to head a panel of independent auditors reporting directly to the FAA. On January 15, 2009, “Sully” landed US Airways Flight 1549 in the Hudson River off Manhattan after both engines were disabled by a bird strike. 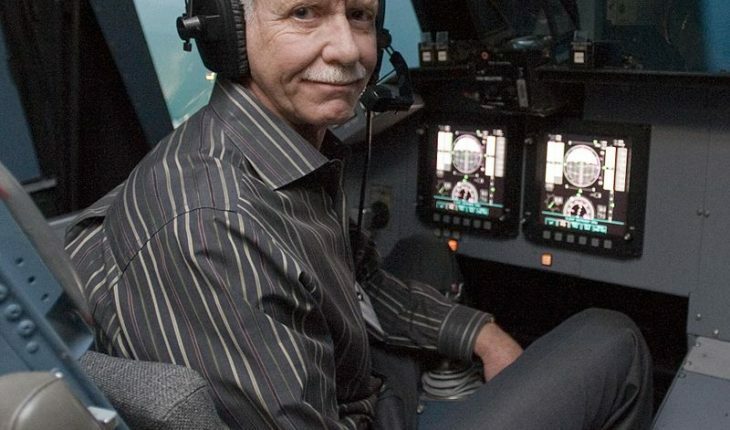 Sullenberger’s famous landing on water with zero casualties is the epitome of a great pilot and one both industry and the public can trust.